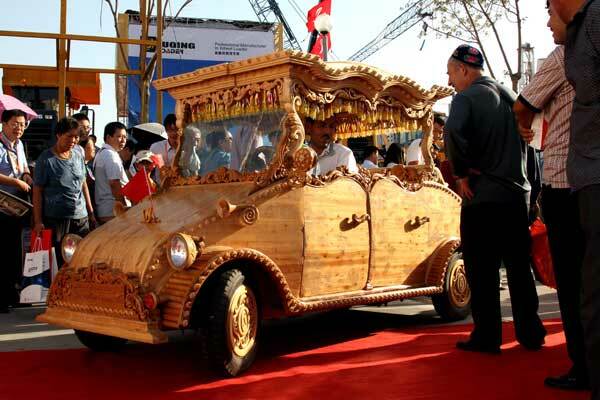 The artistic car is made by a 38-year-old carpenter from Xinjiang province and was showed at the China-Eurasia Expo 2012 in Urumqi, capital of Xinjiang Uygur on Monday. It took about six months and $9,450 to complete this vehicle and the developer claims it to be more stylish than a Mercedes. 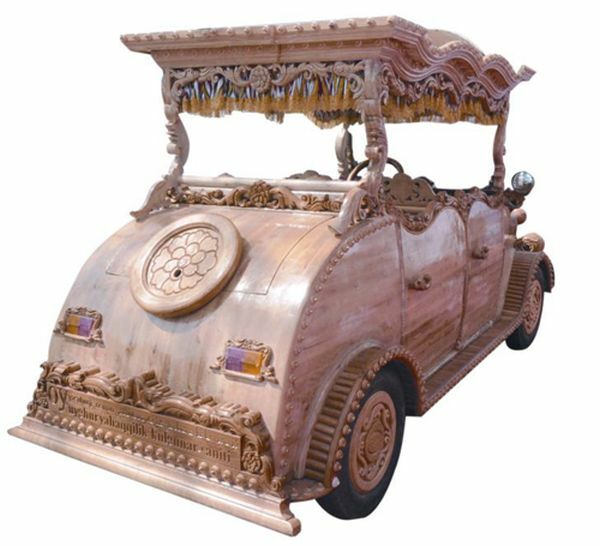 This wooden electric car due to bounteous use of wood is not very eco friendly, however it can travel 150 km on a single charge with a top speed of 50 km/h.